Our mission is to teach the highest standard of ACLS / BLS / CPR and First Aid training to every individual, community, business, and healthcare provider. Our goal is to exceed our client’s expectations of excellence. Our vision is to continue to be the recognized leader in ACLS / BLS / CPR and First Aid training throughout the Western Pennsylvania / Eastern Ohio region. Millions of Americans live with heart disease, stroke or a cardiovascular condition. Your donation will help save and improve lives with research, education and emergency care. Increase the rate of survival to hospital discharge from out-of-hospital cardiac arrest from 10% to 25%. Ultimately, we envision a day when survival from sudden cardiac arrest is the norm, rather than the exception. Event Medic PGH is an event medical standby service specializing in EMT staffing for youth sports, tournaments, 5k, and triathlon races, obstacle races, festivals, and other special events in the Greater Pittsburgh area. We are a local network of mobile medical providers who live and work in your community. Event Medic PGH is one of the few licensed ambulance services that specialize in sports and event standbys. We’re on the course, on the field, and on the ball. Event Medic PGH employees are pre-hospital trained and state certified EMTs, Paramedics, or PHRNs. We have medical direction via Allegheny Health Network, allowing us to contact a medical command physician at any local trauma center, and to operate within an expanded scope of practice where a parent, volunteer, or athletic trainer may not be able to. Event Medic PGH can manage traumatic injuries and medical complaints with trained medical personnel on site. In times of a true emergency, EMS may be delayed or unavailable. Event Medic PGH is able to begin assessing and treating injuries, and can often have the patient stabilized and ready for transport before an ambulance arrives. By choosing Event Medic PGH, your participants will have access to quality medical care provided by insured, licensed, and competent medical professionals. Because we love our country, we love our veterans! Please show your appreciation by giving a donation. Every dollar you give helps a vet! MISSION: To maximize military community members’ potential and social resilience by connecting military and civilian communities through education, advocacy, and meaningful interpersonal intervention. Your generous, tax-deductible donation to Operation Strong Mind enables us to fulfill our mission of maximizing military community members’ potential and social resilience by connecting military and civilian communities through education, advocacy, and meaningful interpersonal intervention. Thank you for your generous donation! It is much appreciated! If you’d like to donate in-kind items for our Free-X, please contact us at info@operationstrongmind.org. Here are some examples of the types of donations our military community appreciates: gift cards, calling cards, stationery, candy, snack foods, and lightly used items of use to military members such as ribbon racks. 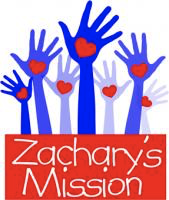 ZACHARY’S MISSION … a truly wonderful non-profit organization that supports families of medically fragile children by providing basic necessities, financial assistance, and programs that nurture emotional well-being. Based in the greater Pittsburgh area, ZACHARY’S MISSION provides assistance to those families in need. Read more about Zachary and how his legacy is spreading hope, one family at a time! PLEASE, visit zacharysmission.org Please consider making a donation TODAY! Thank you! 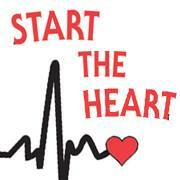 OUR PROMISE - START THE HEART'S TRAINING WILL EMPOWER YOU!